Last month, Google rolled out another set of minor search updates. As an SEO reseller company, we need to be updated with all the changes that affect our clients. Last year, Panda updates occurred approximately every 4-8 weeks. 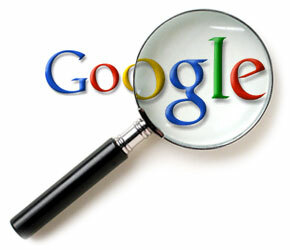 It is believed to be manually updated and becoming more integrated with Google’s indexing and ranking systems. Last month, Google also improved how they handled spelling correction in auto complete. They provide suggestions faster than before. In addition it is more consistent with search even with small spelling errors. Google also improved how they generate related searches by automatically detecting the language of the query. If you’re searching for something in Spanish, you may see Spanish query refinements. One of the latest language updates – Google users in Saudi Arabia can choose to search in English. Some of the other updates made in January was the launch of Search Plus Your World, which brings social results into Google’s search results. Page Layout Algorithm, another update, aims to target sites that have ads cluttered into the website. So, with all the changes that we may see in the future, we make sure that our company keeps up. Seoreseller.com is an SEO reseller company which provides internet marketing solutions such as white label SEO, social media marketing, web design and paid advertising. Visit us at www.seoreseller.com to view a wide range of products that will help you with your web marketing needs.